Poetry is a treasure of Chinese civilization and is the core of spiritual and emotional expression. Historically, especially during the Chinese Tang and Song dynasties (8th- 11th century), sung poetry was very popular in the imperial court. 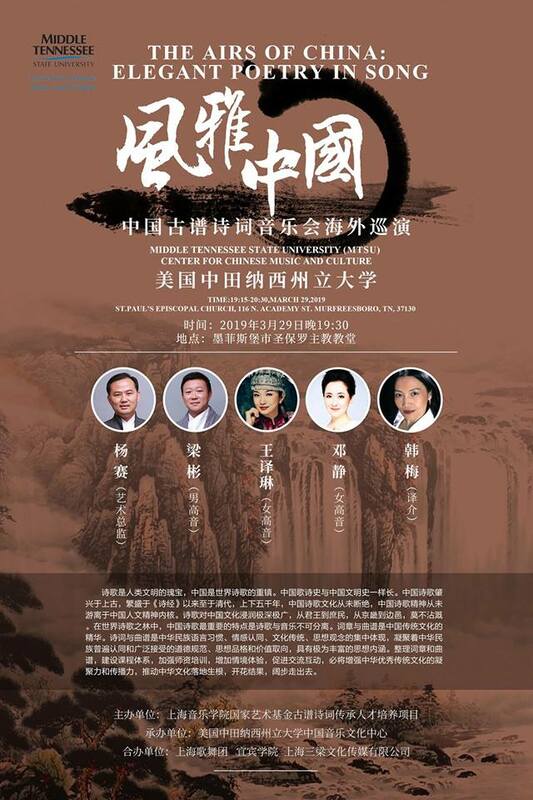 This concert program includes Shijing (Book of Songs, written before the 6th century BCE and edited by Confucius himself), and poems from the Tang and Song dynasties. The group of artists performing at this concert are highly accomplished singers and scholars from the Shanghai Conservatory of Music led by Dr. Yang Sai, a leading scholar on the studies of ancient Chinese music scores and poetry. Are you interested in studying in China? Scholarships are available for college students.